Spray 9″x13″ cake pan with nonstick spray. Measure cereal into large bowl. In another bowl, melt together butter and marshmallows in microwave at 30 second intervals, stirring until melted. 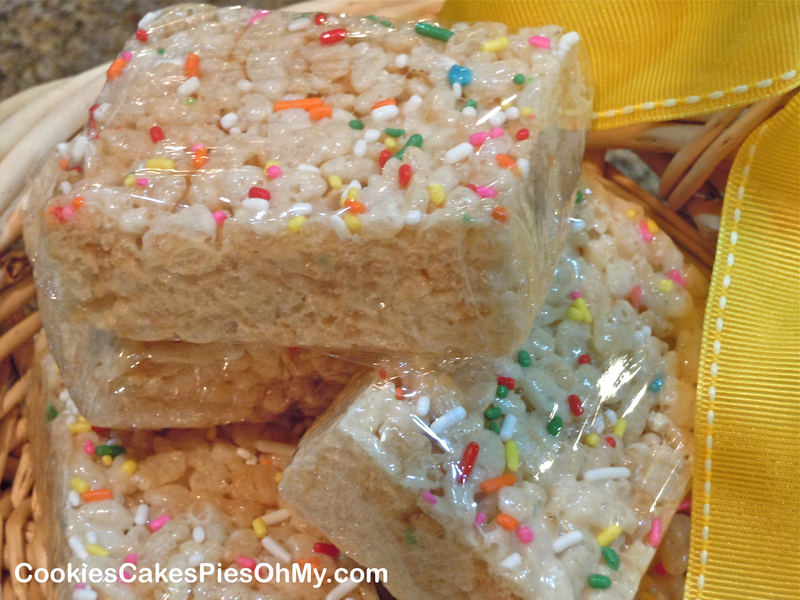 Stir dry cake mix into marshmallow mixture and then pour over rice krispies. Gently fold and stir until thoroughly combined. Pour into prepared pan and press down evenly. Sprinkle with sprinkles. Let set up then cut into bars. Try other cake mix flavors!